Life sometimes gets in the ways of one’s plans, or should I more aptly say, my plans. 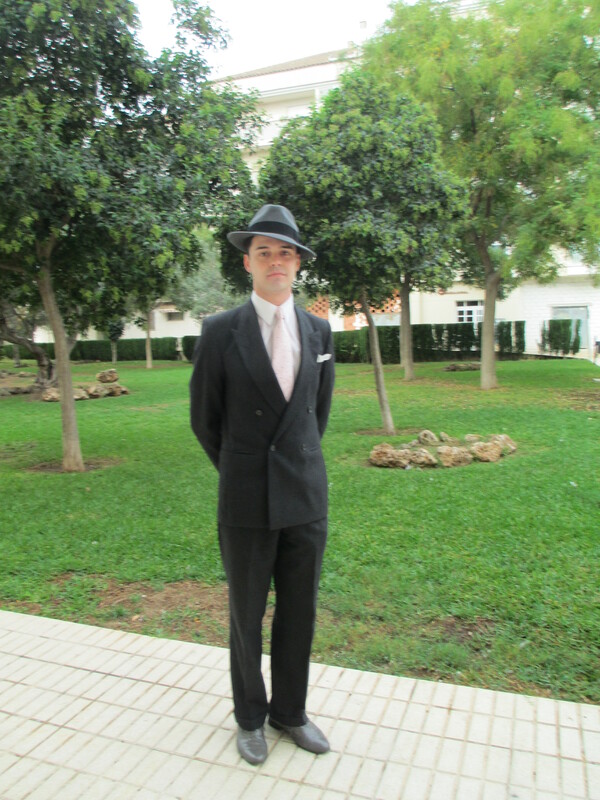 I intended to post about some of the interesting places I have visited near my home in Altea, Spain, during the week visit of my middle son, Michael, but with a few anticipated and unanticipated events, I felt more compelled to blog on the vagaries of the past couple of weeks. Since he was arriving into Alicante on a Tuesday, on the same day as I had to go for my huellas (fingerprints) and delivering my photo for my Spanish residential visa, I booked a rental car. It took about a half hour on the local bus to nearby Benidorm, where I was able to book the car for 48 hours for only 38€, far less than what it would have cost if I rented in my little town of Altea. 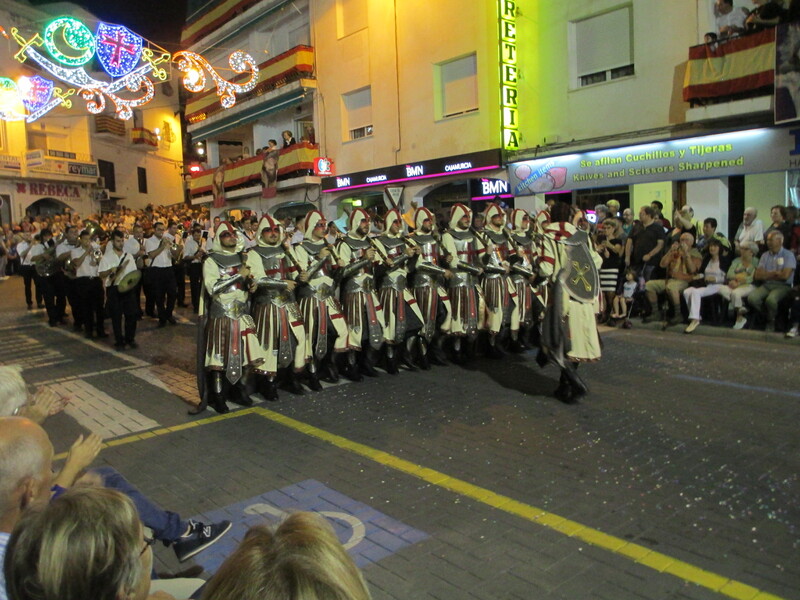 As it was the biggest festival of the year in Altea, Moros y Cristianos, lasting many days, many streets were closed and parking spaces were limited. Probably the only benefit to being disabled is having a handicap placard for one’s vehicle. Even then, it was difficult to find a space for the rental car. After a long search, I finally found a spot. Just to be sure, I made sure the word, minusválido, meant handicap parking; it did. I had a bad feeling about the parking spot, which was confirmed when I went to retrieve the car the next morning at 7:30 a.m. to drive to Alicante for my 8:50 appointment. The rental car was gone. I had no time to try to find it, so I walked about a half mile to the downtown taxi stand, where there were no taxis; it was far too early for most people to be out and about. When I saw one of the ever-present street cleaners (with a shovel and plastic bucket to pick up litter,) in Spanish, I told him of my predicament and need to be in Alicante for my appointment to renew my visa. He kindly summoned a taxi via phone. I did arrive on time, for a fee of about 85€. I had originally planned to take the now unavailable rental car to the Alicante airport to retrieve my son, but obviously could not. In the meantime, on his side, the phone app he had set up would not work to contact me. He finally called from a pay phone, and I advised him to take a cab and pick me up at the National Police, and then we would head back to Altea. That went well, for costing another 85€. I am supposed to retrieve my renewal residential visa somewhere around the first of November of this year, a mere four months before it expires for the year. Then I get to start this process all over again. After he settled in by place for a bit, we headed to the police station to try to figure out what happened to my rental car. In the meantime, I tried to stop at several copy shops to scan and send some important papers, but they were closed for a fourth straight day, this day to recover from the festival partying from the prior week. To abbreviate the part of the story about retrieving the rental car, I was told by the local police that I was in a specifically reserved spot for a handicap vehicle. In Spanish, I replied I have travelled to many countries and never encountered this. Placidly, he told me it would be 136€ to get the car released. What he didn’t say was that I needed to retrieve the car immediately, that there are no regular staff on site, so it took three tries before I was able to retrieve the car, just in time to return it to the rental agency, although with a quick side trip to historic Guadalest. Michael and I had a fabulous time with friends, and day trips to Guadalest, Denia, Albir and even Benidorm, which I typically detest. 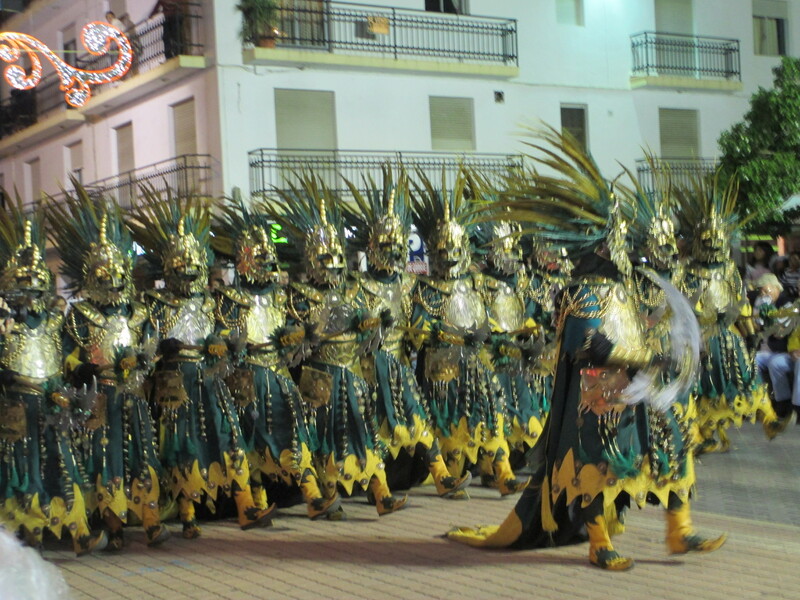 (More about those destinations and the Moros y Cristianos festival in future posts.) Naturally, getting the Beniconnect Bus from Altea to the Alicante airport was fraught with snafus, mostly the lack of staff answering the phone, and simply disconnecting after 20 to 30 rings. By persistence, and multiple ways of contacting them, we got a departure time late on the evening before his scheduled departure. Ever the dapper dresser, Michael turned many a head as he headed for the bus. I love Spain, except for how difficult it is most of the time to get anything in the government and in businesses done efficiently and the first time. For me, this is (sometimes) a good lesson in patience. My advice remains: plan on at least three visits to accomplish your task, and if it is any less, celebrate! I love reading your blog posts, how you keep it real. 😉 pictures are great too.